OBDB April Challenge - Your card should include an animal. Gorgeous, absolutely gorgeous. 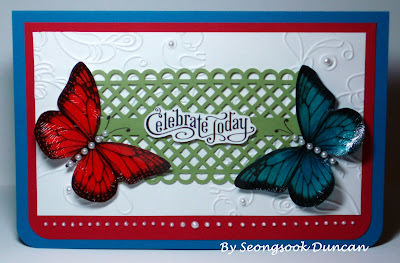 Love butterflies and trellis. So pretty! 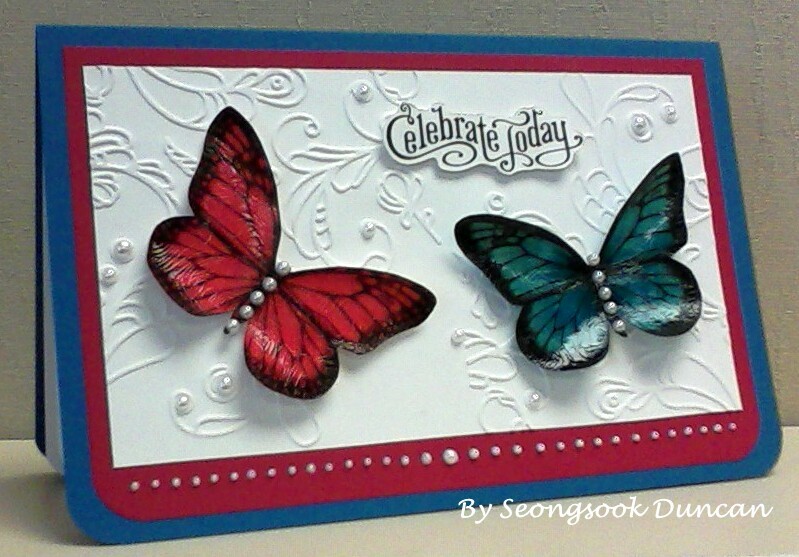 Love the colors and texture! 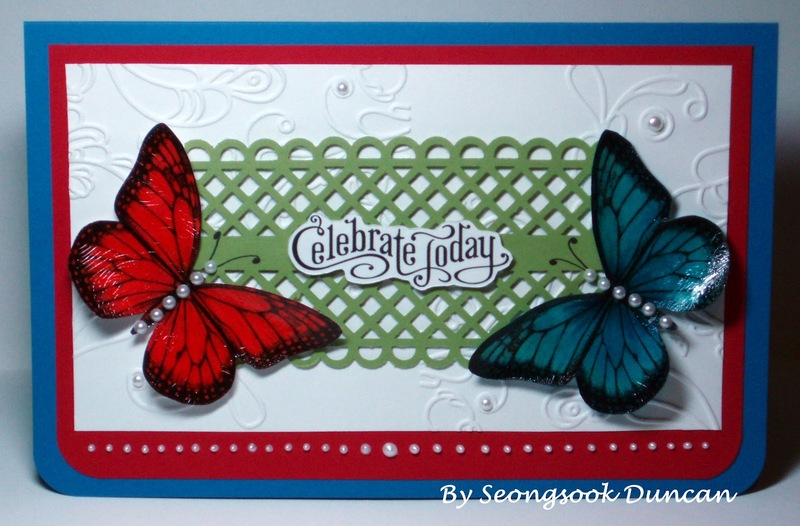 Gorgeous butterflies...love it on theat white embossed paper! What folder is that? Perfect sentiment! TFS!! !